It was very heartening to see Jeremy Corbyn elected as Labour leader for the second time against the machinations of the coup plotters but the essence of both Corbyn surges in 2015 and 2016 was anti-austerity. And unless we begin to deliver on that the great danger is that this movement, which has taken the Labour party membership to some 650,000, the highest since the early 1950s, will become demoralised and die. 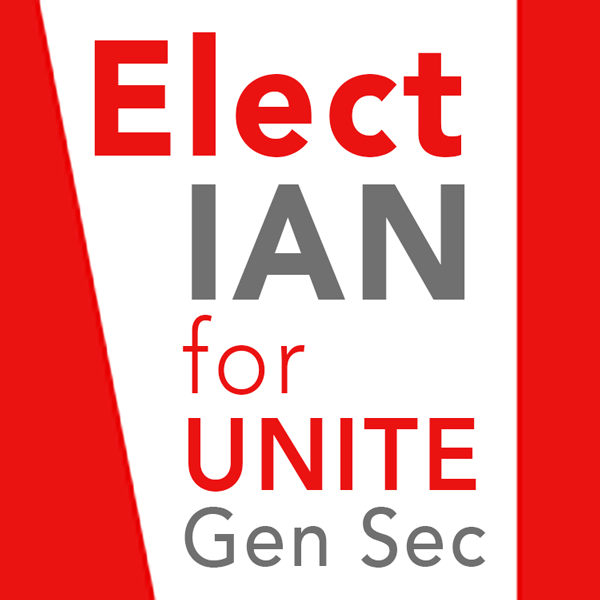 And that is why Ian’s candidature comes at just the right time and, as he is located in a militant workplace, which supplies that vital missing ingredient; class struggle militancy to complement the political advances in the Labour party. Without both wings of the labour movement fighting together we cannot begin to turn the tide against austerity. Neither wing can succeed on its own. On every other issue too Ian takes the rank and file position of the backing the interests of the whole working class and not just a temporary mood of a section on import control or Trident jobs which would be great damage to the long-term unity of the whole class in Britain and internationally. He stands closest to the Grass Roots Left in all aspects of his platform. No to Trident and other ‘vanity’ projects, spend that money on the health service and protecting worker’s wages and the welfare state, and converting arms industry jobs into providing specialist equipment for people with disabilities and meeting other needs of workers challenged in a special way. A workers radio station with international links. All unions officials to be elected by the members they represent and not appointed from above. Oppose all immigration controls; workers of the world unite! End the blacklisting of construction and all other militant workers by the bosses’ organisations. For the massive programme of council house buildings – end the ‘right to buy’ to preserve cheap, affordable social housing with rents determined by the tenant’s income and not market forces.